Inevitably, half the readers are probably going, “Do I have to pay that much?” The answer is no. There are two-day passes for professionals that only cost about €50 (from memory). But they are only available on the site, so you won’t get listed in the directory, nor be able to promote your project or company from the directory before that. Plus, if you think even €275 is expensive, I recommend that you check the prices for MIPTV as they start at €995. MIDEM starts at €490. No other market in the world has such a concentration of decision makers in the movie business. 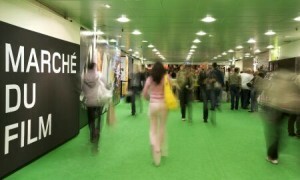 To sign up, visit Marché du Film. For those that are asking themselves the question: Why should I get accreditation for the Cannes film market. That answers most of your questions. If you have any more, ask in a comment blow or follow me on Twitter. Thanks for the mention Michael but MIPTV prices start at €885 as it happens!